One of the most powerful structures of Medieval time Azerbaijan was Gulustan Fortress. It is located in Khinishli village of Shamakhi, about 2 km west of the city center. According to the historians, the fortress dates back to the 9th century. During the middle ages, the castle played an important role in the defence of the region. The seven century long reign of local Shirvanshahs was not so easy to maintain. The state constantly was under attack of different other Azerbaijan states, as well as Seljuks, Mongols, Georgians and Ottomans. Thus, the territory of Shirvan witnessed fierce battles in Medieval period. 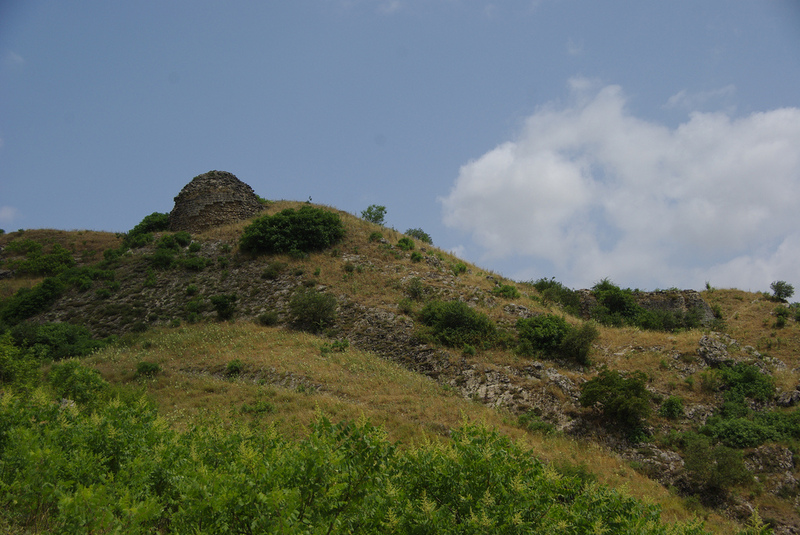 During the hardest times, Gulustan fortress was one of the few safe places for civil populations and Shirvanshah dynasty. The location and ruins of the fortress show that once the structure was almost inaccessible for the enemies. On its pick, the thick walls of the stronghold was covering the whole Shamakhi city with numerous round and quadrangular towers. There was a citadel on the top of the mountain which was the last point of defence within the structure. The fortress has a secret passage with 2 m. wide and 3 m. high. It served as as a route of escape during the long enemy sieges. The tunnel is almost 1 km. long and still open, but you will need a take a local guide with you as it is not easy to find. During the 16th Century, the fortress was damaged as a result of the major earthquake. Unfortunately, most of the structure was removed for house building by locals and other parts collapsed during the past centuries. Nowadays, only the ruins of the fortress is there, but once you climb to the top of the mountain, from the view you can sense how impregnable once this structure was. The easiest way to access the site is a smooth pedestrian track from the Khinishli village of Shamakhi. You want to learn more about this fortress? Order your custom tour and visit Gulustan Fortress.